We do not like having our favorite show interrupted, but at least it came back with a bang! Were you impressed with Candice? How about Russell's bold move? Do you think Colby quit or was he just playing possum? Is there a chance that Russell might have swayed Coach back to his side? Do you think there is any chance that we will see the Heroes rally? We both think the Heroes' losing streak will continue and expect Amanda to exact some revenge on Candice. 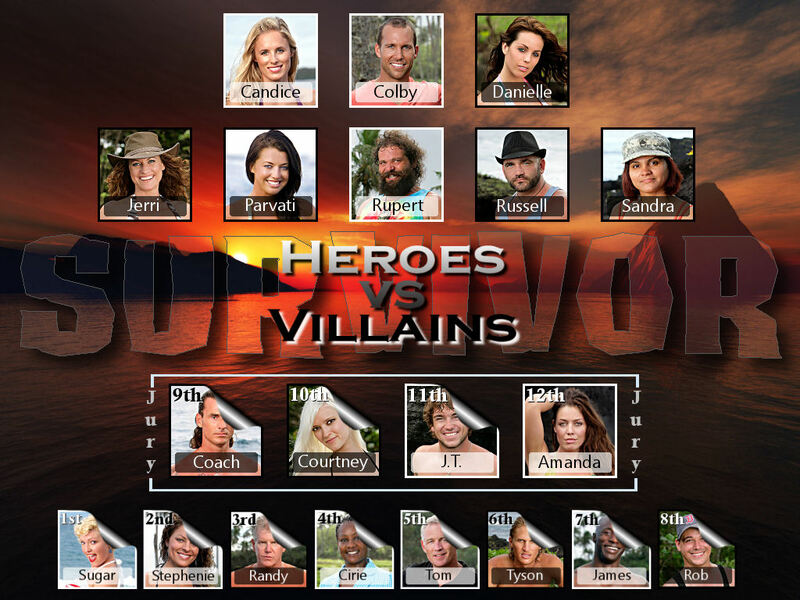 Who is your pick for the next one to be voted out?